RCB will meet with KKR 2nd time in 29th match IPL2018. First-time KKR had won the match against RCB. 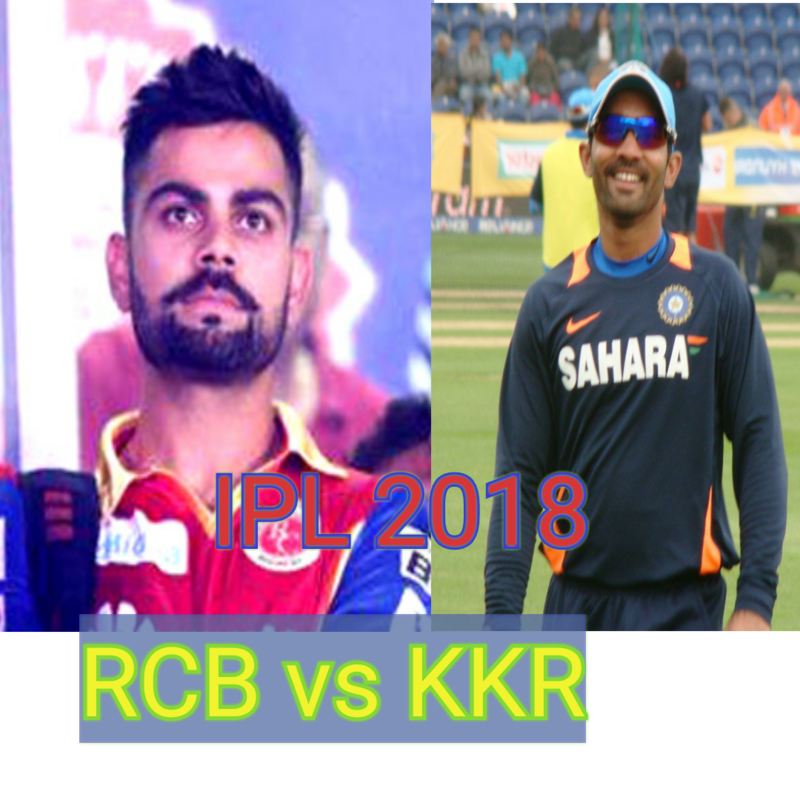 KKR have won 3 matches out of 7 matches on other side RCB have won 2 matches out of 6 matches. The match will begin today at 8pm in M Chinnaswamy Stadium Bangalore. Robin Uthappa 31 away to become the second batsman who had scored 2000 runs for KKR, He is 59 away to become a player with 4000 runs in IPL. KKR won the toss and opt bowl first. fielding was the main cause by which RCB lost the match. RCB should give attention to fielding.